« An underwater dance-visual performance that challenges the core of our soul. All our senses are brought into novel states and our hearts beat faster while in unknown territory. As our breath is actively balancing in the water, the eyes marvel the pulse of a giant sea anemone, only to discover, milliseconds later, that it is composed of human bodies in harmonious union. The pulsing expands and an explosion brings Big Bang to mind. A world is born. Swept by the intensity and the beauty of the choreography we are allowed to travel back both in cosmic time and in personal history, returning to the womb we all once swam in, peacefully. Drops of Breath is the world’s first underwater dance performance, envisioned & created by French choreographer Sophie Bulbulyan and Greek choreographer Apostolia Papadamaki. In an underwater “theatre”, nine abled performers, three disabled performers and three children from France, Greece and Cyprus make the impossible possible,aiming to spread the values of equality and fraternity on the surface of the Earth. Diving audience, Snorkeling audience and Screen audience. The original music score by Trifon Koutsourelis based on strings, resonates through underwater speakers and offers an immersive sound experience. The set design, a circle of 14m diameter, similar to an ancient Greek amphitheater,created by Giorgos Georgiou visualizes artistry in its purest form. The first presentation of the project, involved 150 project contributors from 12 countries and used 3.600 hours of underwater dance training. Drops of Breath, an ultimate art experience that alters the perception of time and space, received enormous media attention worldwide. Drops of Peace is an outdoor performance combining dance and video screenings for viewers of all ages. 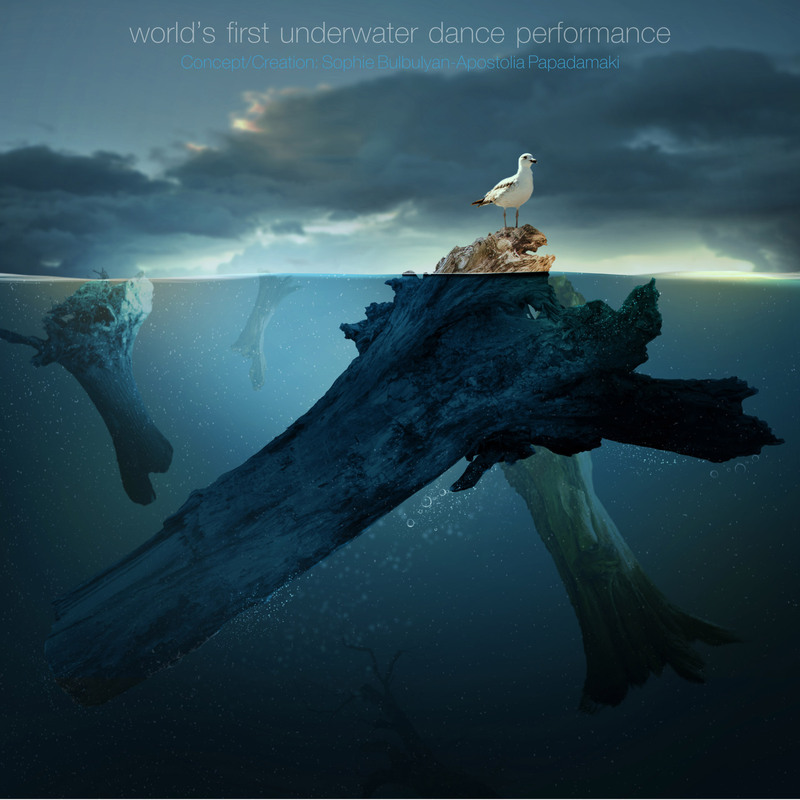 The choreographers Sophie Bulbulyan, Lia Haraki and Apostolia Papadamaki (France, Cyprus, Greece) created Drops of Peace as a reflection on Drops of Breath, the world’s first underwater dance performance. Four underwater photographers, captured motions and feelings from the Drops of Breath( clickable that goes to Drops of breath main info) world premiere, that was presented in September 2015, under the ancient Temple of Poseidon at Cape Sounio, Greece. A selection of large scale mesmerizing photos, composes the Drops of Breath Photo Exhibition and invites visitors to experience the artistic vision through a project addressed to all Humans.